Caterpillar factory reman engines including Cat 3116, Cat 3126, Cat 3208, Cat 3406 Cat C10, Cat C12, Cat C13, Cat C15 for sale. In addition to the Cat reman engine assemblies for sale, we offer Cat short block and Cat long block assemblies. The Cat reman engine assemblies come complete from flywheel housing to front cover including engine brakes on applicable engines. All Cat reman engines are registered serial number specific in the purchaser name through any authorized dealer in North America. Caterpillar OEM factory reman engine including the Cat C15, 6NZ for sale by Kustom Truck. Before you purchase your next replacement Cat C15, 6NZ OEM reman engine, C15 long block or C15 short block, contact Kustom Truck. Caterpillar OEM factory reman engine including the Cat C13 engine are for sale from Kustom Truck. Before you purchase your next replacement Cat C13 OEM reman engine, C13 long block or C13 short block, contact Kustom Truck. Caterpillar OEM factory reman engine including the Cat C12 are available from Kustom Truck. Before you purchase your next replacement Cat C12 OEM reman engine, C12 long block or C12 short block, contact Kustom Truck. Caterpillar OEM factory reman engine including the Cat C10 for sale from Kustom Truck. Before you purchase your next replacement Cat C10 OEM reman engine, C10 long block or C10 short block, contact Kustom Truck. Caterpillar OEM factory reman engine including the Cat C7 for sale from Kustom Truck. Before you purchase your next replacement Cat C7 OEM reman engine, C7 long block or C7 short block, contact Kustom Truck. 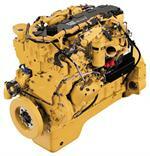 Caterpillar OEM factory reman engine including the Cat 3406, 3406E, 3406B and 3406C are available from Kustom Truck. Before you purchase your next replacement Cat 3406 OEM reman engine, 3406 long block or 3406 short block, contact Kustom Truck. Caterpillar OEM factory reman engine including the Cat 3116 engines for sale from Kustom Parts. Before you purchase your next replacement Cat 3116 OEM reman engine, 3116 long block or 3116 short block, contact Kustom Truck. Caterpillar OEM factory reman engine including the Cat 3126 for sale from Kustom Truck. Before you purchase your next replacement Cat 3126 OEM reman engine, 3126 long block or 3126 short block, contact Kustom Truck. Caterpillar OEM factory reman engine including the Cat 3176 for sale from Kustom Truck. Before you purchase your next replacement Cat 3176 OEM reman engine, 3176 long block or 3176 short block , contact Kustom Truck. To spec and purchase your next factory reman Caterpillar enginecall toll free 1-888-564-8890.